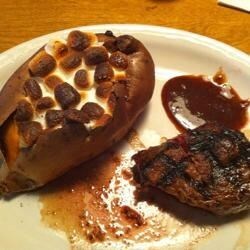 These sweet and tasty baked sweet potatoes are a family favorite. 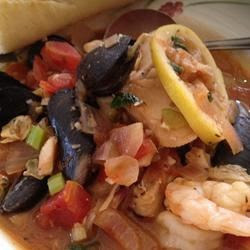 This version of San Francisco's famous Cioppino has it all: the tangy, spicy broth featuring shrimp, mussels, cod, and Dungeness crab. 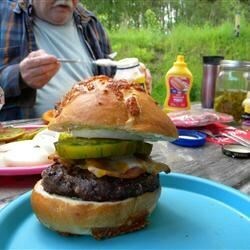 An easy, vintage recipe for beef burgers stuffed with Roquefort cheese and served on heated buns with lettuce, tomato, and onion makes a savory grilled meal. 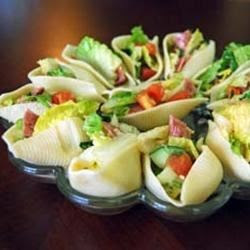 Stuffing jumbo pasta shells makes a cute way to dress up a simple salad of romaine, salami, cucumber, and tomato. 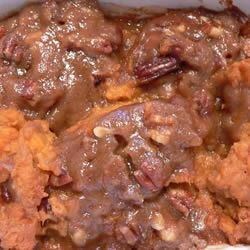 Sweet potatoes are mashed with sugar, spices and evaporated milk, then baked under a buttery brown sugar and pecan crust in this side dish serving eight. 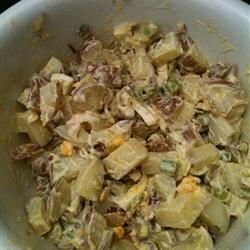 Curry and apple chunks liven up this cold potato salad, made with sour cream and mayonnaise. 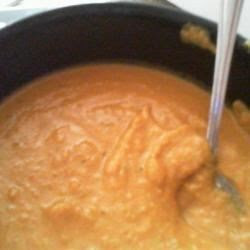 A creamy garlic and tomato-flavored soup, with pureed late summer vegetables, has delicate pieces of fresh pumpkin flowers.